If you know someone who is a coffee lover, then a coffee subscription box would make a great gift. They are super fun and practical and is a great way for your friend or loved one to expand their horizons beyond the supermarket coffee aisle. Not sure where to get started or why Blue Coffee Box should be your best choice? 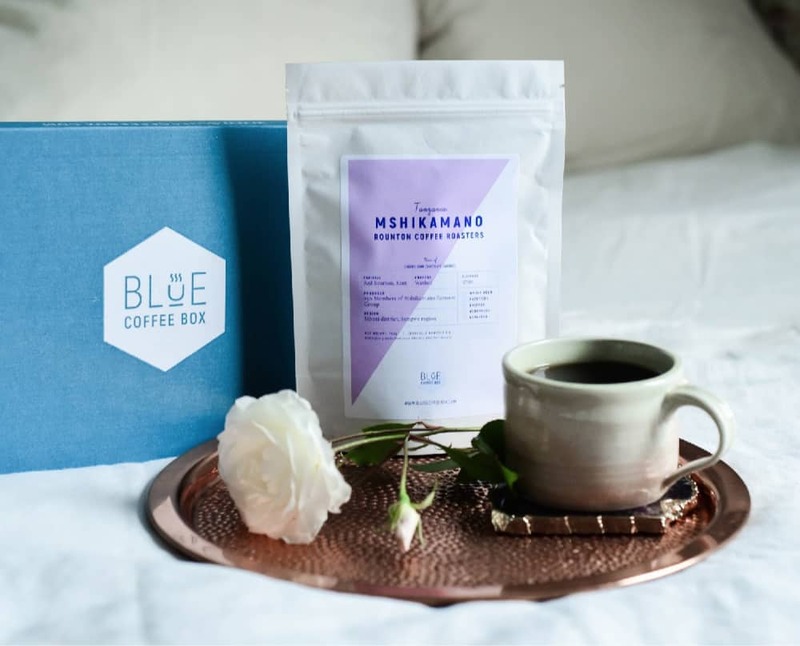 These 3 reasons below will be all you need to make the decision to get your best friend, partner, lover, grown kids, relatives — or whoever in your life — that awesome and fun coffee subscription box from Blue Coffee Box. First and foremost, one of the things we need to understand is that not all coffee is created equally. No matter what anyone may tell you, we know that coffee is never just coffee. All of these factors make all the difference in a major way in the final quality of freshly brewed coffee. Low-end, poorly roasted coffee is bitter, dull and boring. Carefully grown, well-roasted coffee is vibrant with rich flavours and aromas like blueberries, spice, rose, and beyond. Don’t believe me? Then maybe you need a coffee subscription box too. One of my all-time favourite things about Blue Coffee Box is that each month, I get to try three new coffees that I would have never in a million years picked out for myself to try. I tend to lean towards what I know and I don’t venture out much past my normal coffee order. By having my gift subscription coffee box, I get to try some amazing coffees and open my palette up to new flavours. 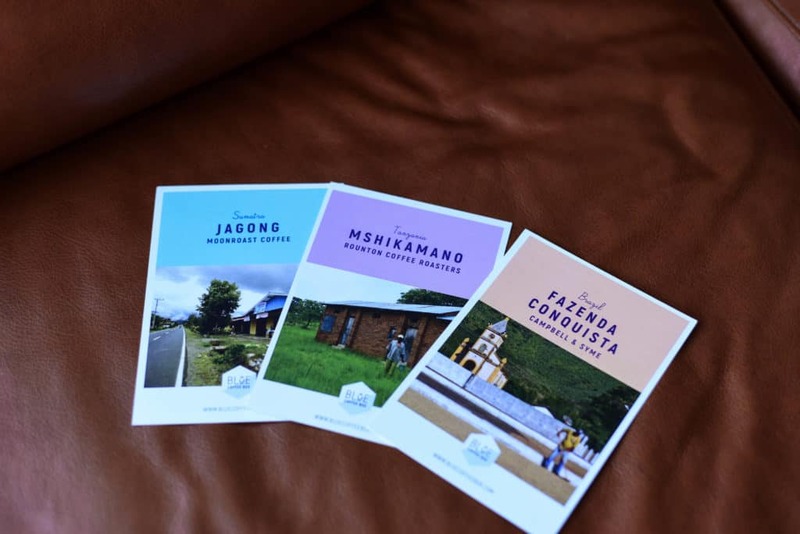 Not only do you get coffees in the box, but you will also receive flavour notes and a postcard from the country of origin. It’s not just a coffee service but more like a monthly gift that includes delicious fresh roasted coffee beans. If you find something that you like, you can always order from the roasters we feature each month. For instance, one of my favourite coffees from the box so far has been the Kenya Dormans AA Plus – which has notes of citrus, black currants, and vanilla. The flavour was so intense and so bold, yet smooth and delicious. Anytime I can support small businesses, I do it. Most coffee subscription box companies are just that — people like you and me building a business out of something they love and have a passion for and we have a passion for coffee here. 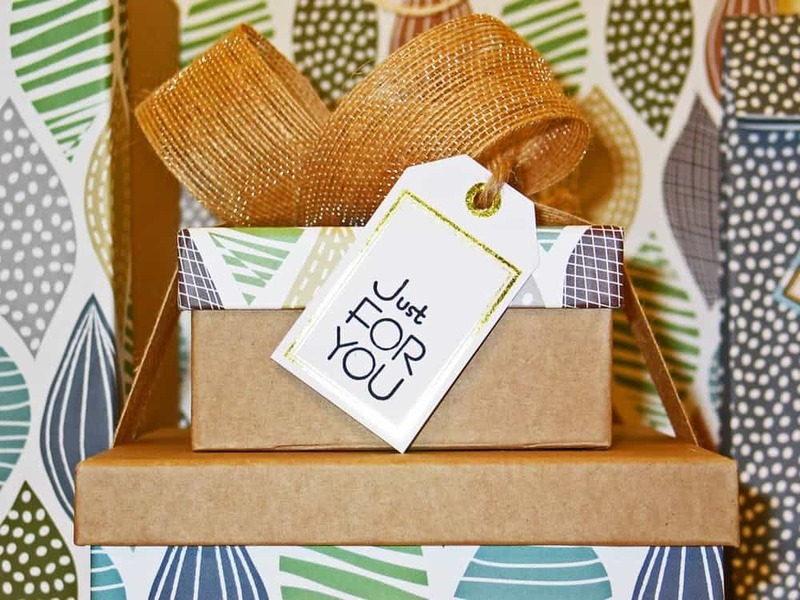 When you sign up for our coffee subscription box to send to your loved one, you are saying that you not only care about what they get as a gift, but you are giving a gift to us in the form of a new customer — so thank you! Be sure to check out our roasters for April — Craft House Coffee, Casa Espresso, and The Gentlemen Baristas. 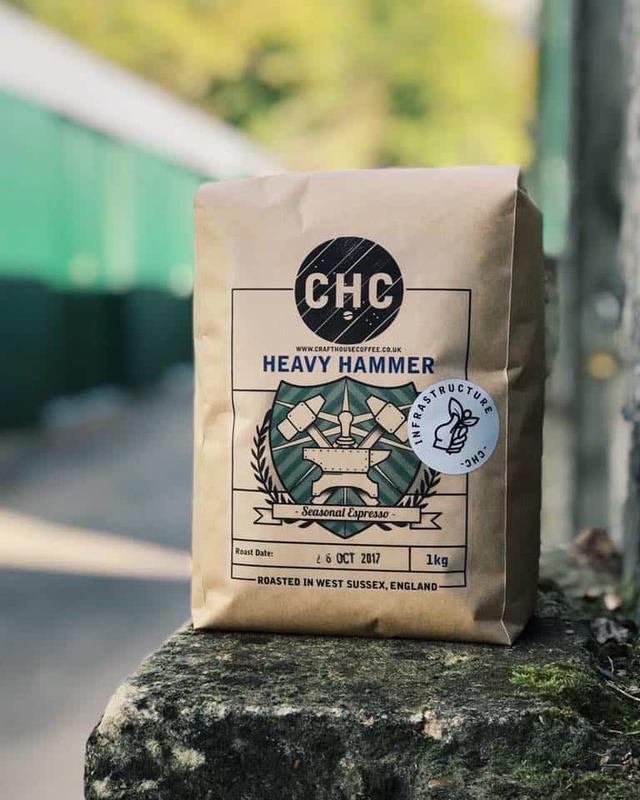 Each month, Blue Coffee Box searches for authentic small batch roasters who are working to build a business off of their passion for coffee and freshly roasted coffee beans. We like to choose roasters who work closely with the farms that their beans come from. This ensures that you are going to get a bag of beans that are roasted to 100% perfection each and every single time. The roasters we choose offer gourmet single origin and special blends that are 100 percent arabica beans. Because the beans are always freshly roasted, you can always be assured of their freshness. The bulk of coffee served in supermarkets around the UK are in fact, stale. Since the 1930s, coffee has been subjected–by various brands and in many different ways–to mass production, vacuum sealing added flavouring and colouring. 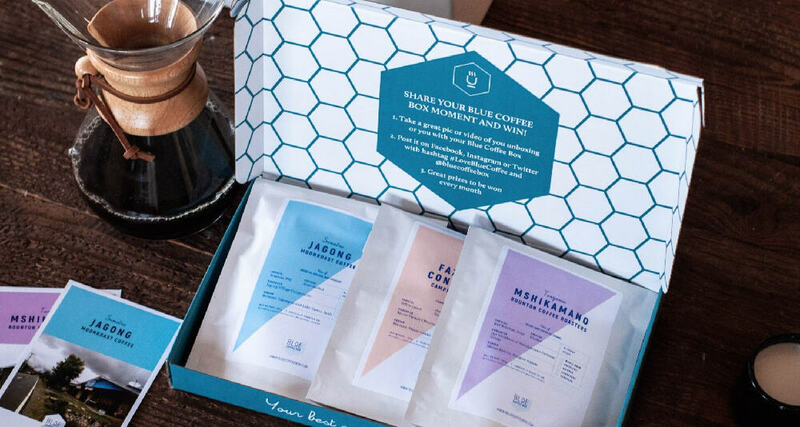 The best thing I love about a coffee subscription box as a gift is that they can be given for any holiday, any event, anniversaries, graduations, college students moving out and more. They are so versatile and will work for any special occasion. If you have been on the fence about getting a coffee subscription box, you don’t need to worry any longer. Coffee subscriptions like the Blue Coffee Box make it so much easier and more affordable to enjoy high-quality single origin coffees from well-regarded roasters. There is no need to even go to the supermarket and stress about stale coffee. It’s just delicious, convenient coffee delivered to your door.